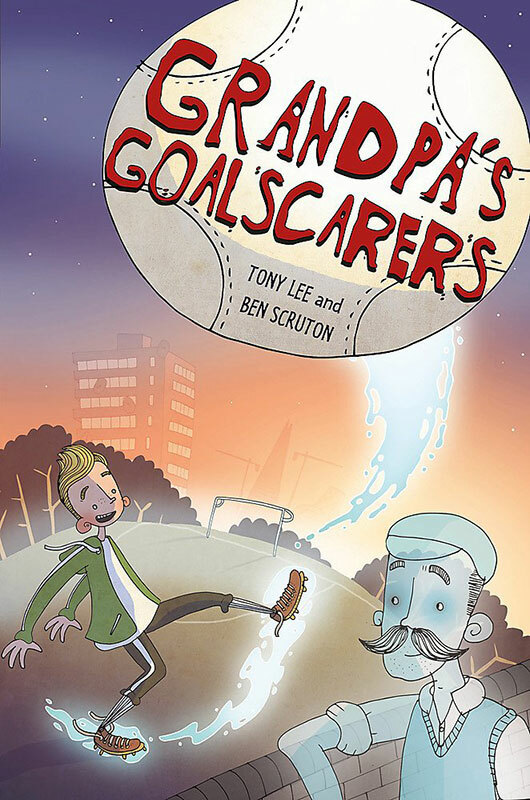 Ben Scruton loved working on Grandpa’s Goalscarers, a fantastic graphic novel for the middle grade market. 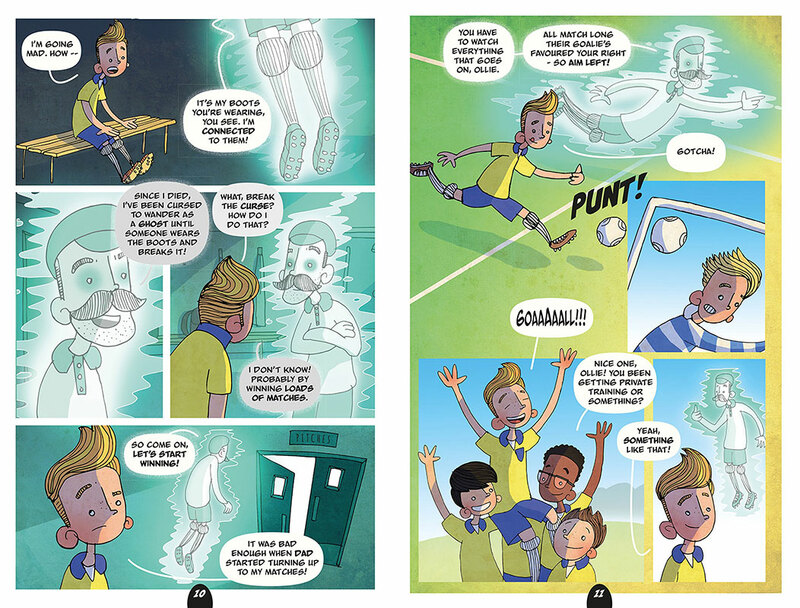 Written by Tony Lee and published by Franklin Watts, the story follows football mad Ollie. 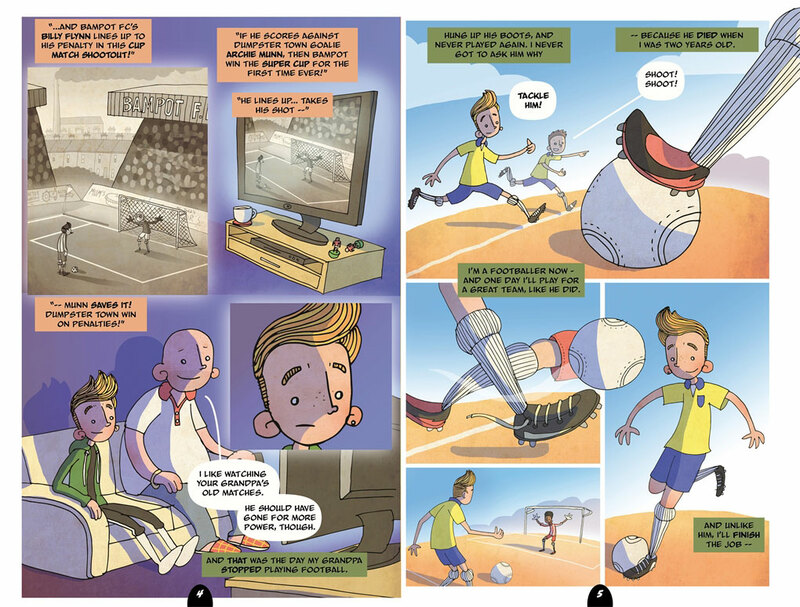 When his own football boots wear out he starts to use his dead Grandpa's boots, which magically fit. Suddenly, Ollie is playing better than ever, helped by his Grandpa's ghost! 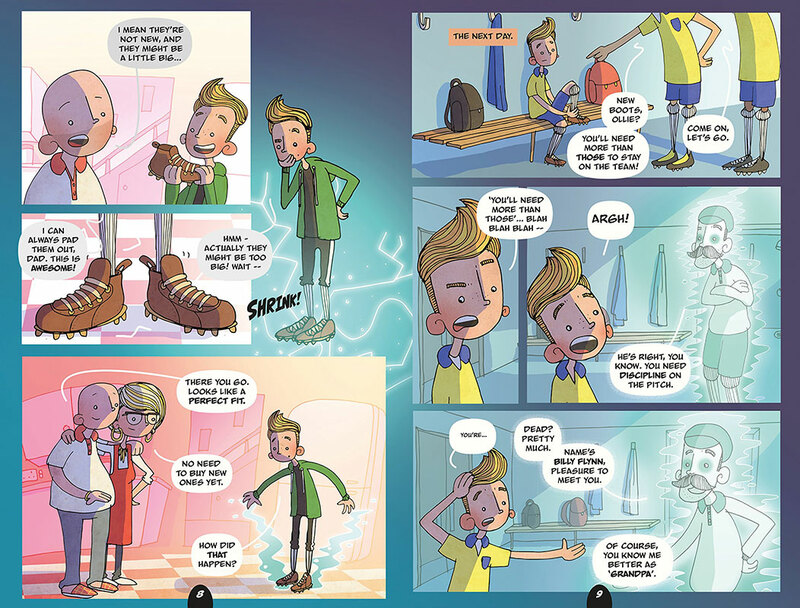 Grandpa and Ollie get up to some mischief in this brilliant tale, which Ben has captured in his comic style. To see Ben’s portfolio, click here. 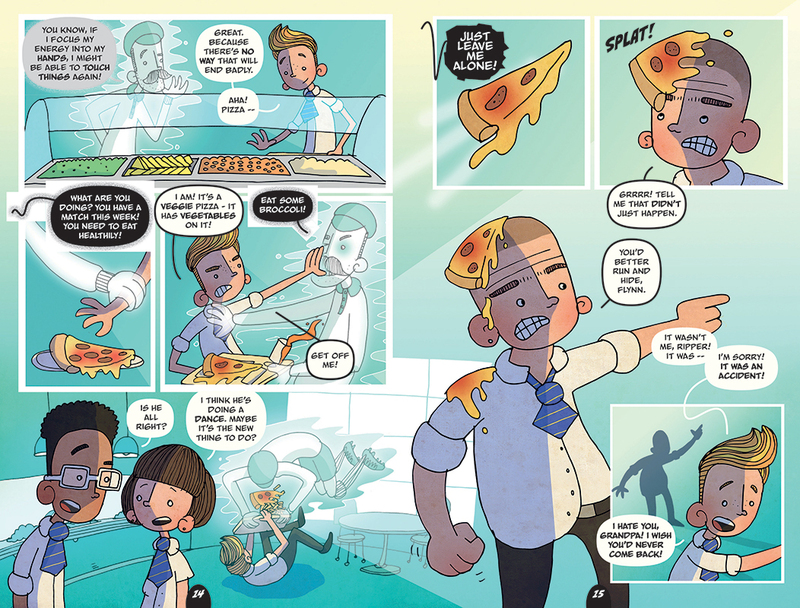 Ben Scruton is represented by Kids Corner. 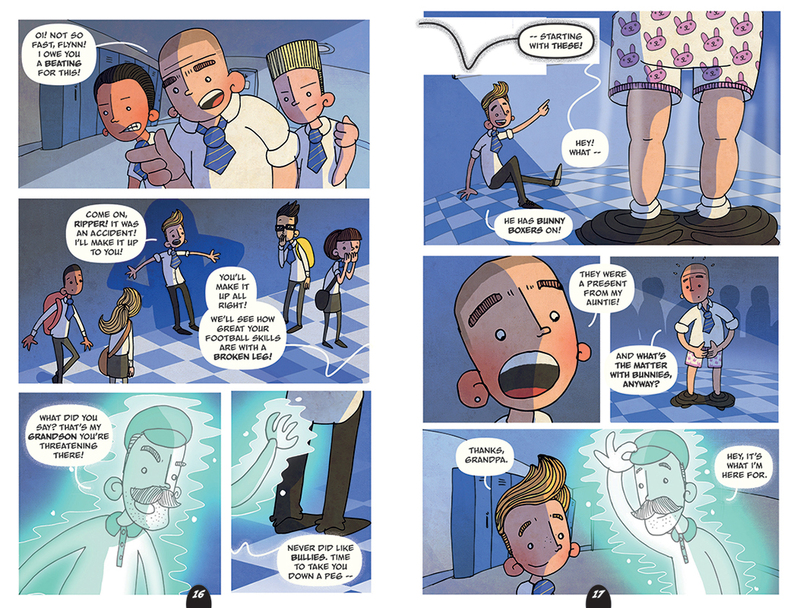 Published on 22 February 2018.